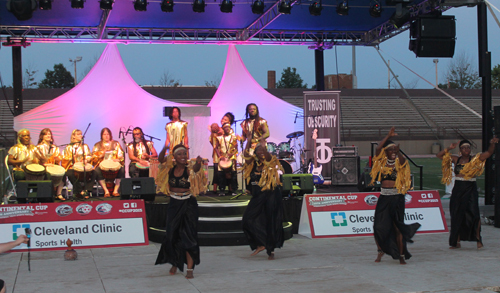 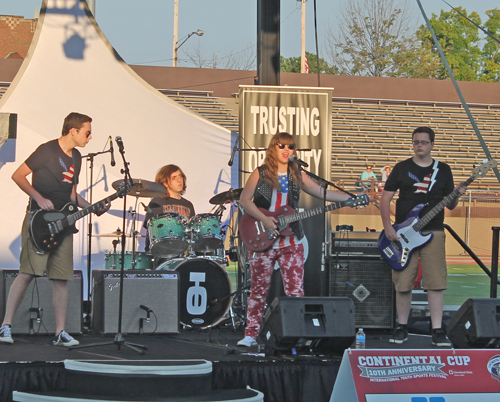 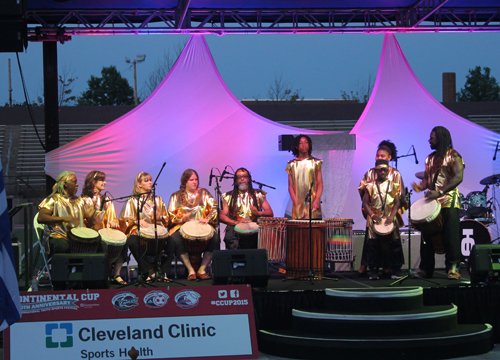 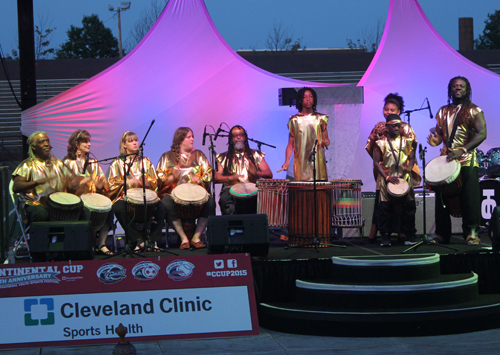 The band Trusting Obscurity performed at the opening ceremony of the 2015 Continental Cup put on by the Greater Cleveland Sports Commission. 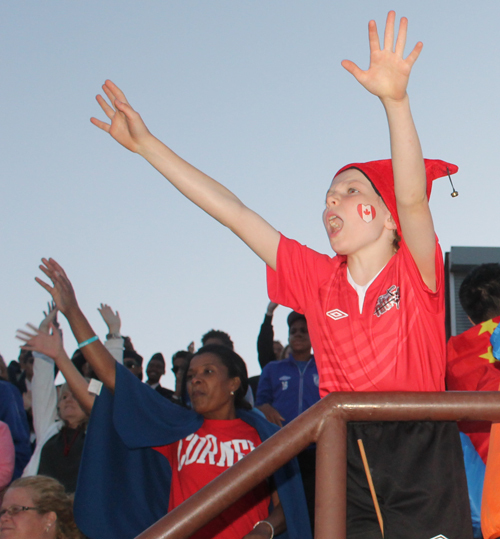 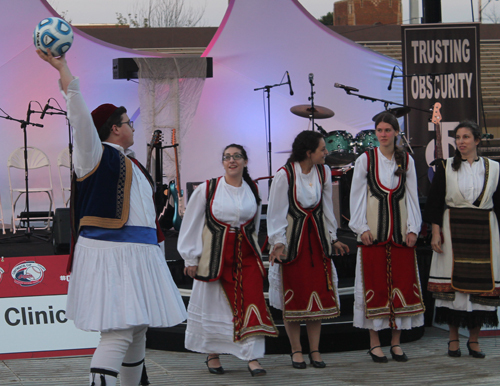 The mascots danced and threw t-shirts to the crowd. 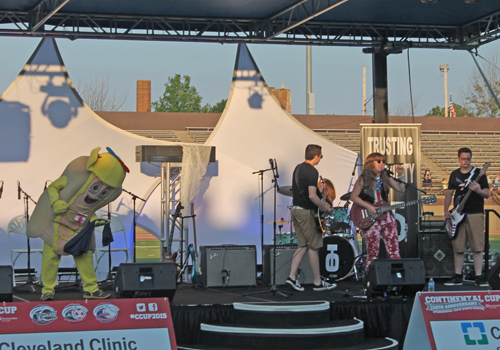 Mascots included Slider, Ketchup, Mustard and Onion from the Cleveland Indians, Sandy the Shark from the Cleveland Aquarium and Stomper from the Lake Erie Crushers. 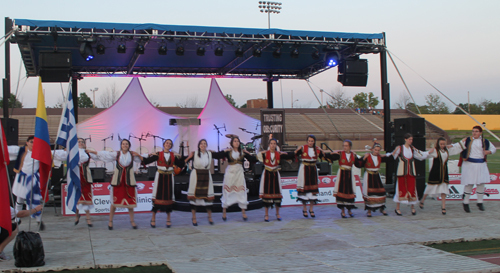 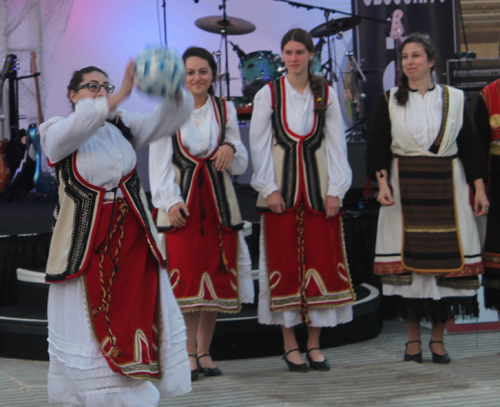 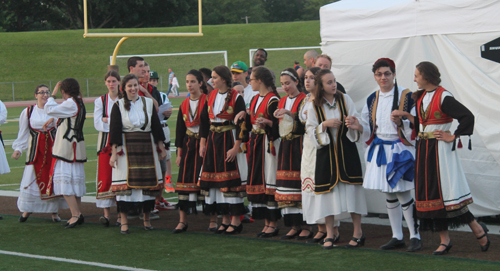 St Demetrius Greek Orthodox Church Dancers started their performance by passing a soccer ball between all the dancers. 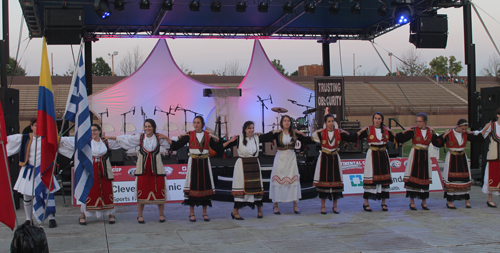 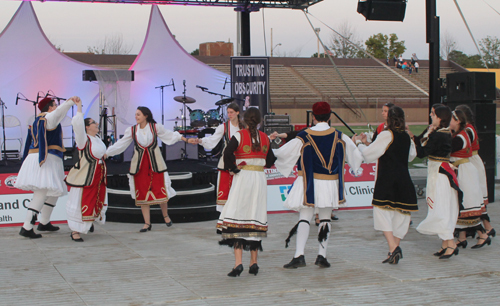 St Demetrius Greek Orthodox Church Dancers performed a Traditional Greek Dance. 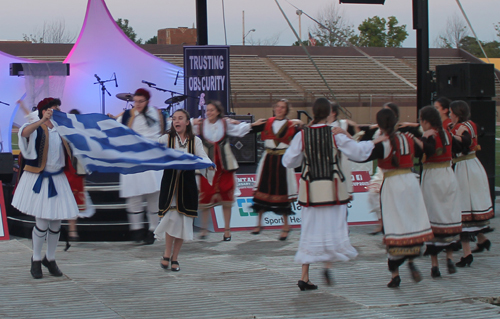 Their closing dance featured the flag of Greece. 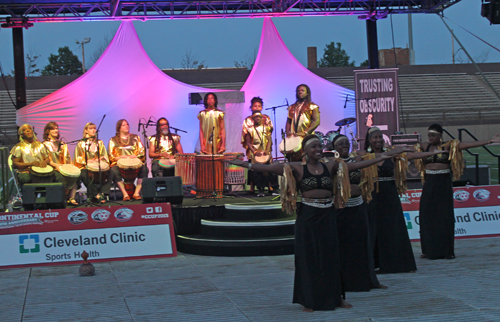 Tam Tam Magic drummers from West Africa performed. 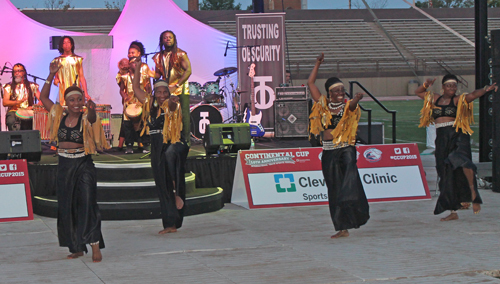 The Tam Tam Magic drummers from West Africa were then joined by traditional dancers.